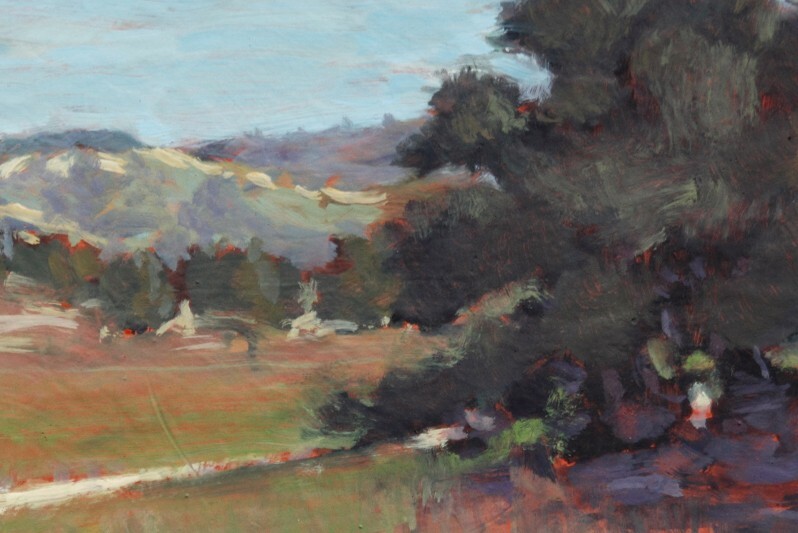 The Winter rains have brought the Ramona Grasslands back to life. 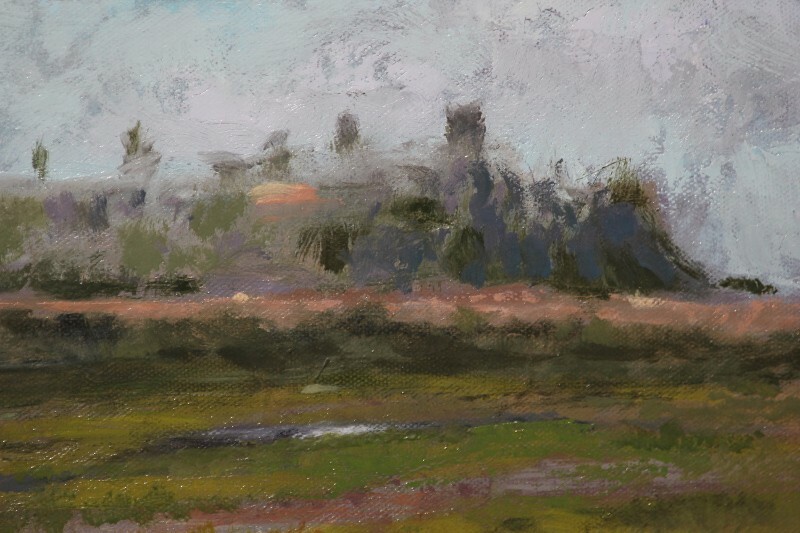 The last time I visited the Preserve, the scene was dire–the parched grass and oaks were severely stressed. Many of the trees were beyond recovery, as evidenced by the piles of firewood left by the Forestry Service. But… the recent rainy Winter has turned the situation around. Currently, this Spring, there are live streams of flowing water crossing the grasslands. 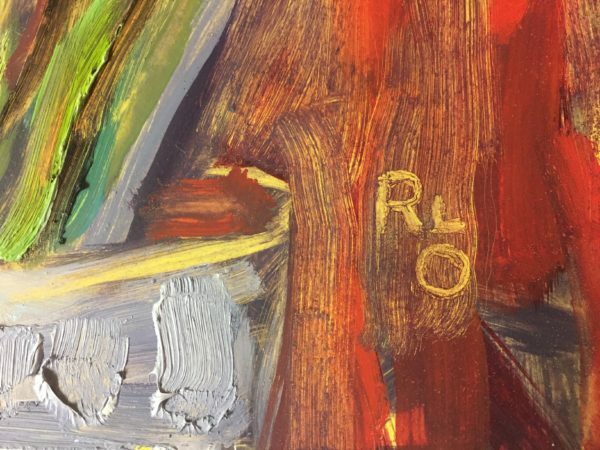 The finishing flourish for any oil painting is the artist’s signature. 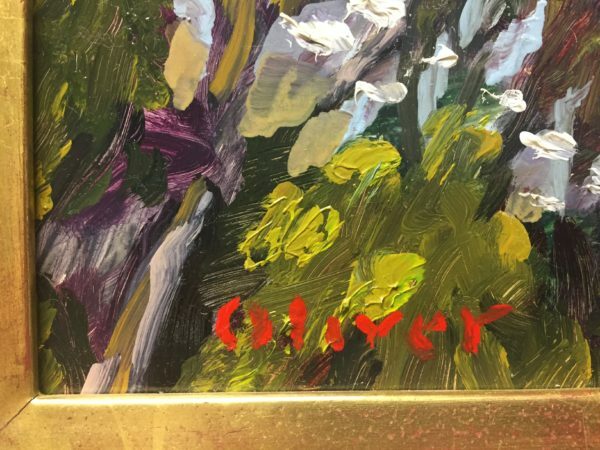 I use two signatures to finish my pieces. 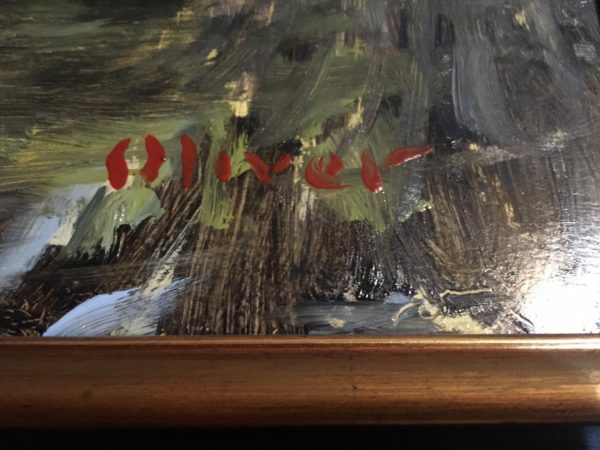 I sign my paintings with my last name, “Oliver,” or with my initials, “RLO.” I use the latter when it fits better than the larger, “Oliver” signature. 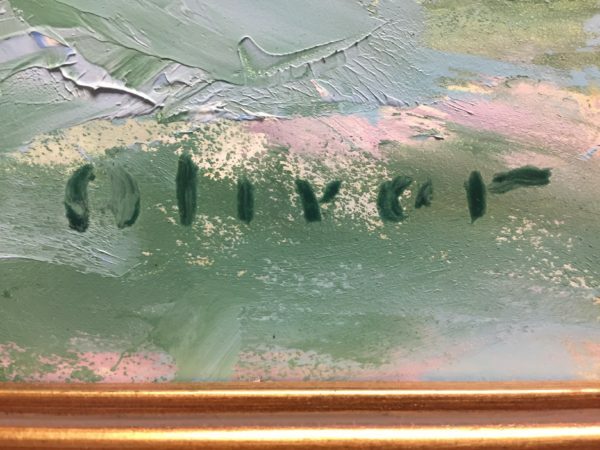 The signatures above are a montage from various studio and plein air works. 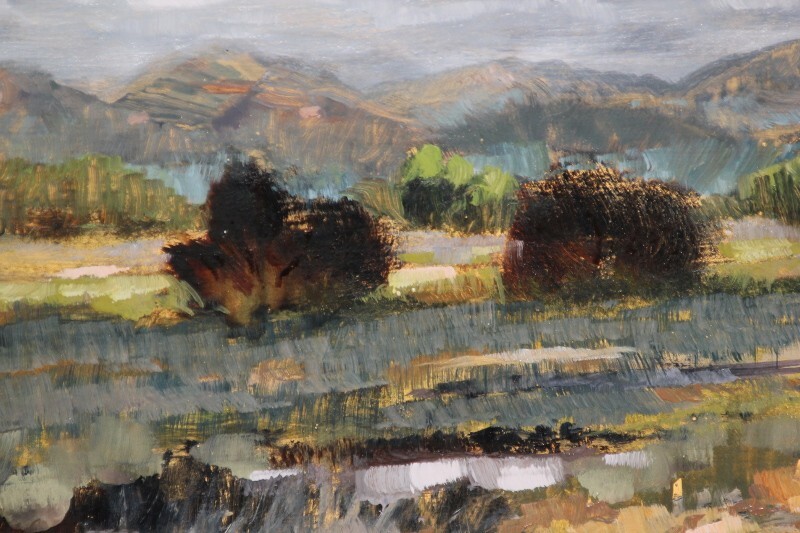 The simple lines of my signature indicate and compliment the style of painting conveyed in the works. 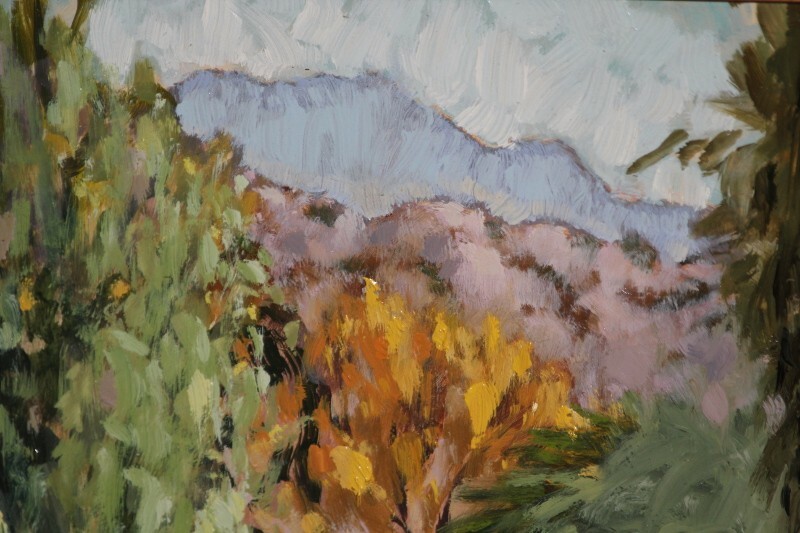 The brush strokes remain as applied, informing the viewer by impression, rather than tightly rendered or controlled imagery. 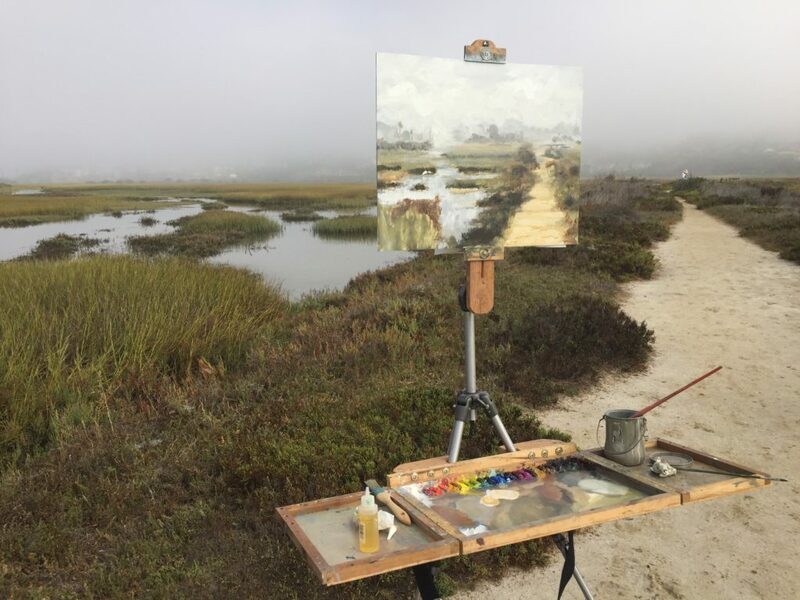 San Diego has some great places for the plein air painter to park their easel and capture the beauty of nature with brush and paint. 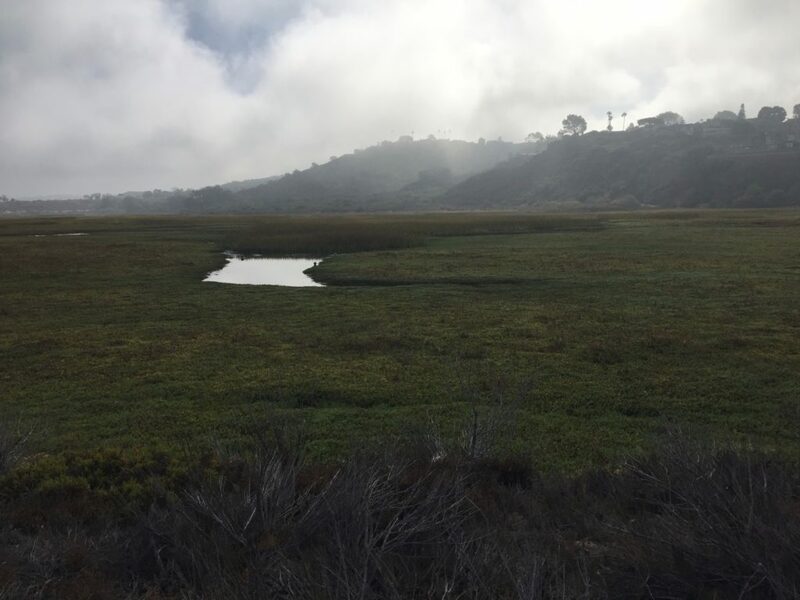 One of the best places in the county is the nature reserve at San Elijo Lagoon, between Solana Beach and Encinitas. The lagoon and tidal estuaries meander East to West from the inlet at the coast. The tidal flow extends inland for almost two miles, flowing under the I5 Freeway before eventually ebbing to a stop in Rancho Santa Fe. 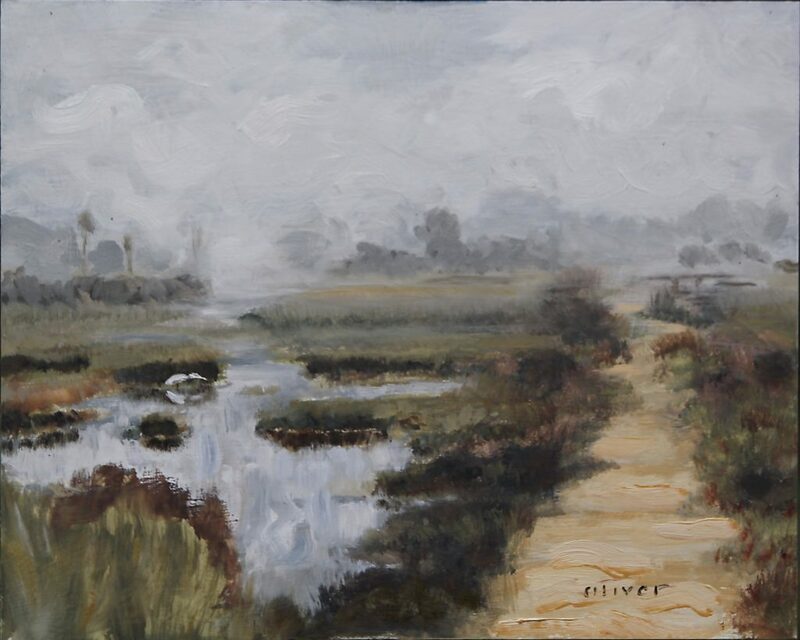 I painted at a place along the Rios Avenue Trail, which is on the Southwest side of the Lagoon, on a peaceful, foggy, October morning. 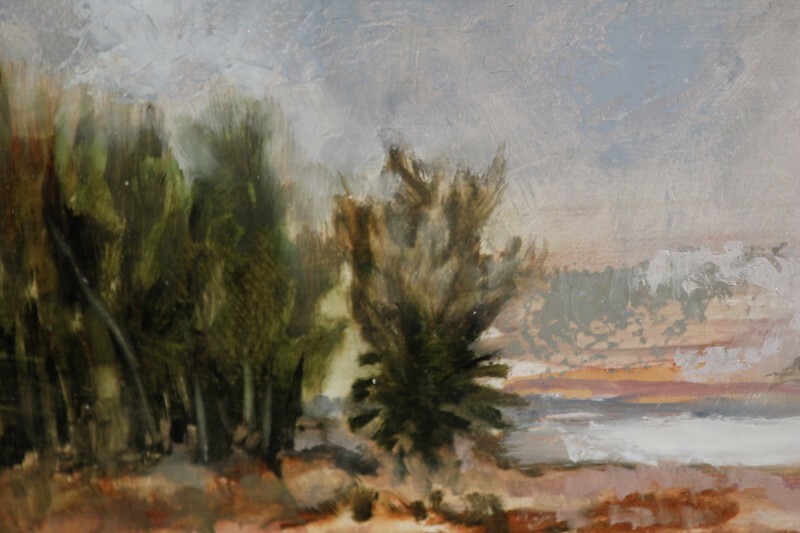 I can recommend the many locations at the lagoon as a places one could return to again and again and find something new to paint, each time. Here are some photos and video I took to share with you. You’ll also see my completed painting at the bottom of this post. 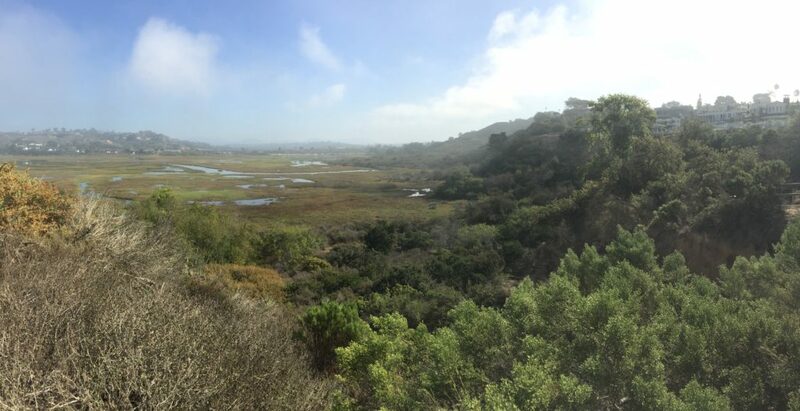 A panoramic view of the Rios Trailhead, looking East at San Elijo Lagoon. Lifting fog on a mild October morning. Here’s a short video that gives a 360 view. Here is the painting after about an hour and a half of painting, when I decided to take it home. I made a few small touches and corrections back in the studio. 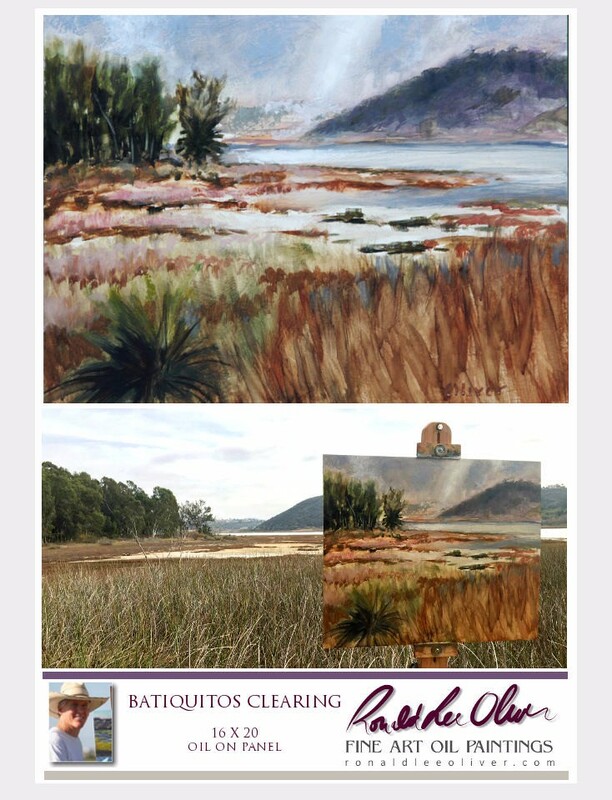 Batiqutos Clearing, along with three of my San Diego plein air paintings is on display and available at the Solana Beach Library in Encinitas, California…or in my online gallery.